I love to travel for the same reason I love books: new ideas, people, and places, all of which make my life richer and wider. I also love to take my kids. I’ve heard a lot of people say that they don’t like to spend money to take their kids places, they won’t remember or appreciate it. But…. I don’t do it for my kids as much as I do it for me. Not everywhere is a great kid trip, but Peru is! All outside adventuring. Peru was Josh’s dream. It also has a mile long wave. Justin will make anyone’s dream happen if there is surfing involved. He left four days before us and stayed at the Chicama Beach Hotel with his brother. A boat pulled them out to the waves and then they surfed in. There was tons of amazing food and daily massages. When they checked out, Justin was floored at how low the bill was. He’s already dreaming about his next trip. He picked us up at the airport in Lima and we made our way to our airbnb in Mira flores. Our top priority on this trip was the Sacred Valley. I had read that it was best to take morning flights within Peru because they tend to get canceled later in the day. 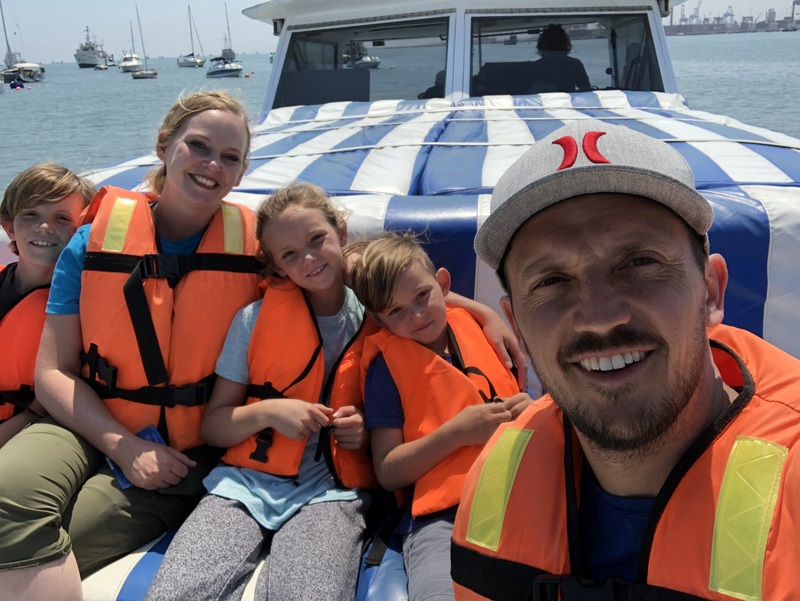 With three kids, we decided to spend a day in Lima instead of flying out super early the next morning. Every place we stayed was fantastic. In Lima we stayed in a 3 bedroom airbnb with awesome views. Lima is tricky to get around. There’s no easy public transportation – And taxis for a family of five can get expensive (taxi green was the best). So we knew we needed to use our time wisely. 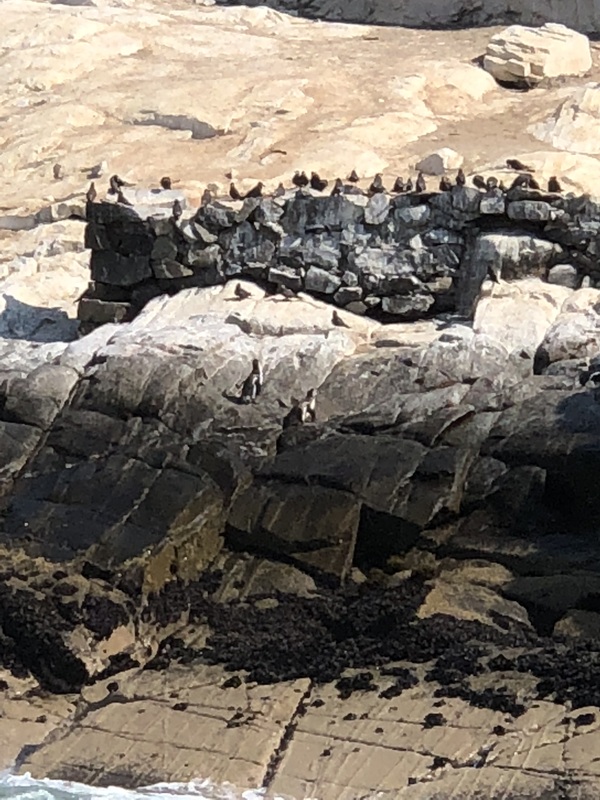 The kids were most excited to do a day trip to the Isla Palomino and see penguins and sea lions. At the beginning, we were all smiling. Within a half hour the three of us were staring hard at the horizon trying not to throw up (yes we all took motion sickness drugs). It was awful. And two hours longer than it was supposed to be. Justin and Josh saw the penguins and swam with the sea lions in too small, holey wetsuits. But we all survived. Max was a trooper. Whenever he got tired he’d just lay down and close his eyes, and then smile at us groggily when we woke him up. We made it to Cusco the next day. Our guide, Oscar (he was fantastic and I don’t particularly enjoy having guides as a rule) picked us up at the airport and drove us directly down to Ollyantaytambo. I was nervous about the altitude so we stayed in the sacred valley for five days before seeing Cusco. And learned about traditional dying and weaving. Then we had lunch here, overlooking the Sacred Valley. The last stop was Pisac, before we made it to our B & B in Ollyantaytambo. We saw our first Inca stairs. and wondered at the scenery. Places like this leave me in awe. So many people have walked this ground before I did. And saw the Pisac Market.